The Tech Skill Upgrade Training was also designed for teenagers and children passionate about information Technology. we believe it’s a wise decision for parents to get their children signed up for this training series, because this would position their children for success in their careers. we exist in an evolutionary digital dispensation where it is all about the skills you posses and value you are able to dispense in the world of business. this training would empower teenagers and children for the future. Call or Whatsapp: 08036622568, 08022019276 For more Enquiries. No previous web technology skill set is required for this training but all student are expected to have good computer usage skill. connection will be provided by Breedskool Galaxy. 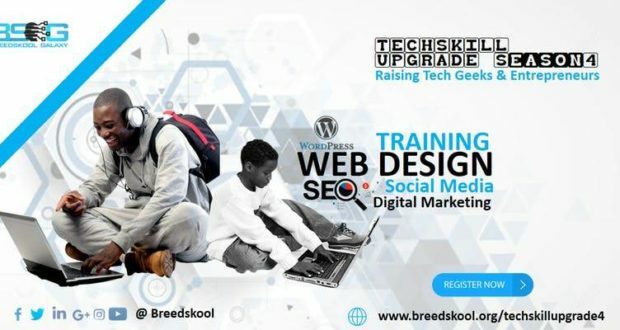 All software needed for the training will be provided by Breedskool Galaxy. At the completion of this course, All participants would be given a certificate for Participation.